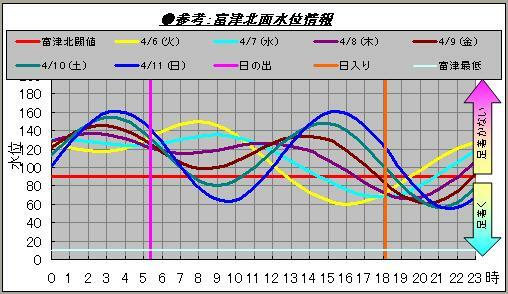 ●4月10日(土) 5:16～18:10 ： 北東⇒東 （モス）　12Just⇒15Just　Gialsｷｬﾝﾌﾟ? ●4月11日(日) 5:14～18:11 ： 南南西⇒風弱く （モス⇒？？）　15Just⇒風弱く　Gialsｷｬﾝﾌﾟ? copyright © 2007 ヤン坊ケン坊風予報 all rights reserved. template by [ALT DESIGN].